When the summer sun begins to shine, North Lake Tahoe resorts transform into playgrounds for visitors of all ages. From world-class events to shopping, live music to outdoor adventure, there are endless opportunities to explore something new in the mountains in the summer. Check out our Peak Your Adventure Interactive Map below for an insider look at the best high-altitude dining, shopping, events and outdoor adventure the region has to offer. Northstar California is home to family-friendly summer festivals, boutique and adventure-focused shopping, kids activities including Sierra-themed mini golf, patio or fireside dining, and roller skating under the stars — all centered at the Village at Northstar. 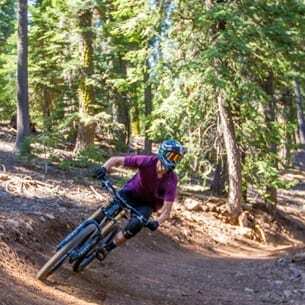 Set against the largest lift-served bike park on the West Coast, the Village is steps away from mountain biking and dog-friendly hiking or a short drive from golfing above Martis Valley. 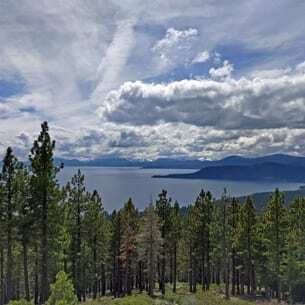 Home to some of the best views in North Lake Tahoe, and aptly called the “Olympic Valley” for its role in the training of various Olympiad athletes, Squaw represents an intersection between high luxury, outdoorsmanship, and consumer delights. 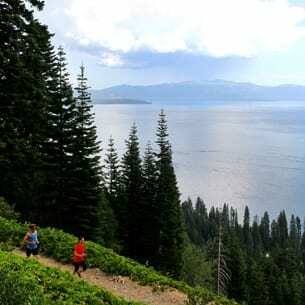 Its European-inspired Village is a must-visit for any Tahoe traveler, and hosts a number of phenomenal summertime events, like Wanderlust Yoga Festival and Bluesdays Tuesdays weekly live music. 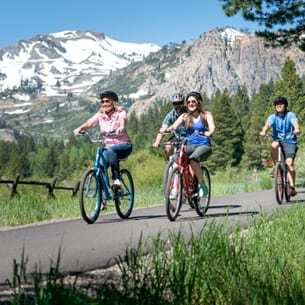 Perfect for picnicking, summer hikes, view finding and more, Diamond Peak Resort is a favorite among visitors and locals who love engaging in the human powered sports for which the region is widely known. 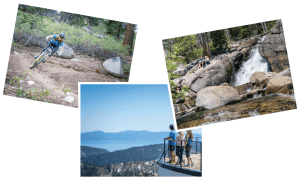 With panoramic views of the lake that will take your breath away, Diamond Peak offers an unparalleled outdoor experience. While Homewood is known for its powdery winter slopes, in the summertime this mountain resort offers panoramic views, delectable dining at establishments like the West Shore Cafe, craft cocktails and mountainside to shoreside adventure. Don’t miss their summer events series, complete with live music and impressive dining experiences.